HandyQuick is based in Woodbury, MN, with fast access via Interstate 94 and the I-494/I-694 loop to the entire Twin Cities metro area. Wherever your home or rental property is located, you’re in our service area, and our professional handymen in all trades are ready to serve you at any time with top-quality home repair, maintenance, and other services. Throughout the region, we are your local expert handyman service, ready to handle your every need. Eastern Metro Area – From Stillwater, Oakdale and Woodbury to Cottage Grove, Eagan and Hastings, your home is just minutes away. Call on us for any home repair, maintenance, improvement or other jobs in and around your home. Saint Paul Area – We’re proud to be Saint Paul’s local handyman service, offering our complete range of services throughout Minnesota’s capitol city. Wherever your home is located in St. Paul, you’re right in our neighborhood. Northern Minneapolis St. Paul Suburbs – Call us for top-quality handyman services throughout the northern suburbs in Ramsey, Washington, Anoka, Ramsey and Northern Hennepin Counties. 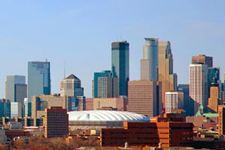 Minneapolis & Its Neighboring Cities – Anywhere in Minneapolis, make our company your neighborhood handyman service. One call to us will bring experienced handymen in any trade quickly to your home to handle your job, large or small. Western Metro Area – From Lake Minnetonka communities to Edina and Eden Prairie, and from Maple Grove to Plymouth, our highly trained, efficient handymen and trade professionals are as close as your phone. Call us for a full range of handyman and other home services. Southern Twin Cities Suburbs – Suburban homeowners from Richfield, Bloomington, and Shakopee to Burnsville, Prior Lake, Lakeville and other communities can count on our handyman company for all home repair, maintenance and remodeling needs. At our complete, trusted handyman service company, customer satisfaction is our highest priority. That’s why we’ve carefully chosen every trade handyman we send to your home. We know that prompt, efficient, top-quality, cost-conscious performance is a high priority for you. That’s why we insist on only highly trained, experienced, courteous professionals for our home repair and maintenance team. When you call us, you’re assured of satisfaction with all work performed at your home. That’s our promise to you. Call us today with your list of jobs you need completed and let us show you the HandyQuick difference.